Hans Hermans is chief of publishing at Compact Publishing and a loyal user of Story Chief. 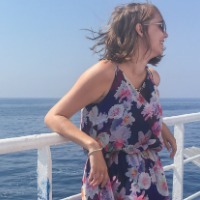 We're interested in his story, his content marketing process and his suggestions to improve the tool so it could solve his digital obstacles even more. Let this story inspire you. The publishing house, Compact Publishing, is most of all a supplier of content for companies and a few media houses. Business journalism is their core business. Customers can obtain relevant content by subscribing to their service, that way a entrepreneur has the possibility to stay active on online channels. At Story Chief, we think it's a brilliant concept, not every company has the time nor the inspiration to provide accuring and innovative copy on a regular basis. 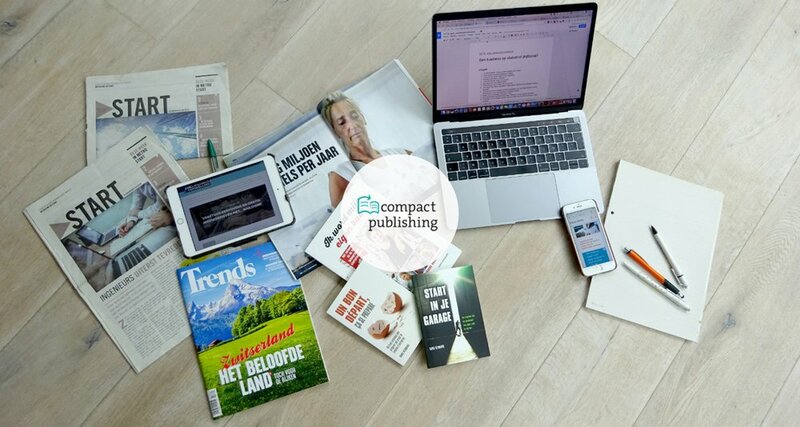 Customers like Telenet, Trends, Graydon, Agoria, Metro and Acerta already rely on Compact Publishing to help them out. What are the main challenges of Compact Publishing? For the last couple of years, Hans has experienced the transformation from offline to online media, just like very other publishing house. He understood he had to reinvent himself in order to keep him on the map. His focus shifted from books to online journalisme. In Hans' opinion it was an absolute advantage. Publishing a book took a long time, while online content is dynamic and so quick by nature. It also creates more opportunities to reach an audience and it has a direct impact. As a true pioneer Compact Publishing excepted the challenges to keep up with digital trends, hypes etc. I had to find a way to make it easier for me. And Story Chief was the perfect solution. It's an absolute delight to work with the tool. Crafting an article takes no time at all, no code required and above all my videos and images are imported just as they should be. What role does content play in Compact Publishing? Content is everything. Readers are looking online to find solutions to problems they're confronted with in daily life. Customers of Telenet, for example, find it important to get access to information about their smartphone, internet connection or other technical issues. They find it an added value that the answers are available online. Companies should all provide that type of content. It creates a sense of trust towards the users. We, as experts in content distribution, can only applaud that kind of mentality. Today, providing information has become more important than anything else. Not just search engines love relevant content, readers also want to stay up-to-date. Hans has completely understood that. How did Story Chief help out? For quite some time, Hans was dissatisfied about his website. Technically as well as concerning content, the website needed a lift. All Hans' attention selflessly went to his customers, so he didn't find any time to maintain his digital story. Something had to change, Hans decided.Via a designer at Compact Publishing he came in contact with Story Chief. The tool quickly seemed to be the right solution to empower his online presence as well as a resolution to maintain his website with recurring content. Two birds, one bush. My content and journalism take centre stage. I would't want it any other way. Do you have any suggestions, Hans? When you use the tool for the first time, you'll see how easy the editor is and what little it takes to publish a story over multiple channels. But still, Hans is missing something. Wouldn't it be grand it we could all consult content of other companies, as an inspiration? Good news, Hans. We're building a community around Story Chief so other customers can find relevant content by preference in certain categories. In the meantime we will gather as many stories we can to inspire other readers.